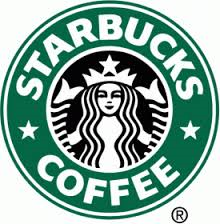 Mention coffee and the first name that comes to mind is that of one of the stores operated by Starbucks Corporation (NASDAQ:SBUX). Over the years, this brand has come to be regarded as being synonymous with the beverage courtesy of its prominent presence, thus justifying its leadership on the global platform. One of the few countries in the world which remains bereft of this contagious aroma is Israel, as its spokesperson so vehemently claims. In a question-answer session, the company described its absence in Israel as fall-out of a partnership having fallen apart in 2003 after which another attempt has never been made. That said, it emphasizes on the fact that its actions are non-political in nature and have nothing to do with its overwhelming presence in other countries in the region. With its partnership with Alshaya Group, Kuwait, touching 15 years, Starbucks Corporation (NASDAQ:SBUX) operates 600 outfits in this region via the franchisee while Alshaya itself is the owner of 2600 retail outlets in the region. Considering that all these stores have made a significant contribution towards its total revenue figure of $4.2 billion and generated a net income of $513 million in the first half of 2014, the organization is keen not to upset the balance. It is but natural that Starbucks Corporation (NASDAQ:SBUX) is keen to crush rumors that have gained momentum in recent times because of the movement that advocates boycotting of Israeli products as also companies that are suspected of funding its army. Click here for the latest news about Amazon.com, Inc. (AMZN) and Hachette War of Words Seeks Mass Involvement.